In this paper a basic, easily to multi-contact problems extendable, non-smooth approach is applied to analyze a bar striking an inelastic half-space. Coulomb contact is assumed and modeled by using set-valued Newtonian impact laws in normal as well as in tangential direction. The resulting linear complementarity problem contains all possible impact states and provides an instantaneous collision operator that respects all inequality constraints. This operator depends on the orientation of the bar and determines uniquely the post-impact velocities as functions of the pre-impact state. Different types of solutions may occur, including “stick’’ and “slip’’. In this context, stick and slip have to be understood as the two cases characterized by the tangential impulsive force as an element of either the set-valued or of the single-valued domain of the friction law. Depending on the choice of parameters, sign reversal of the tangential contact velocity is possible. For certain inertia properties and initial conditions, the collision operator yields an impact, even for initially vanishing normal contact velocity. This phenomenon is well known as the Painlevé paradox. 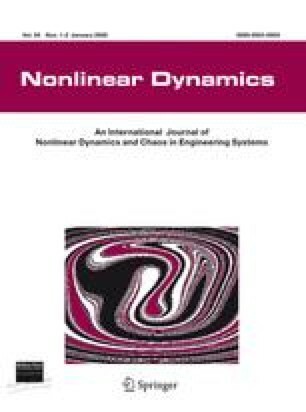 The results obtained by this fully non-smooth rigid body approach are compared with those of other impact models, such as a lumped mass model with compliance elements, and a collision operator used for particle interactions in flows.